There’s a new sandwich spot in town! If you haven’t made your way over to Campione’s Italian Bistro in Mount Royal Plaza in Queensbury, read on to find out why this newly opened eatery will be your go-to lunch spot. The recently opened Campione’s Italian Bistro is a high end deli that serves up sandwiches, subs, breakfast sandwiches, take-out meals, and more. 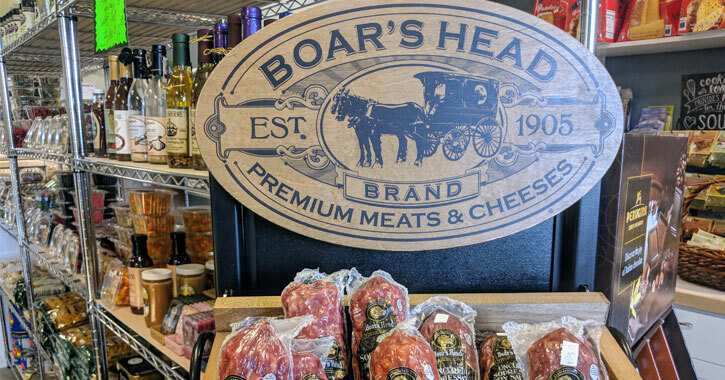 Their claim to fame, however, is the variety of specialty sandwiches they offer, all of which are stuffed to capacity with high quality ingredients, including Boar’s Head meats. 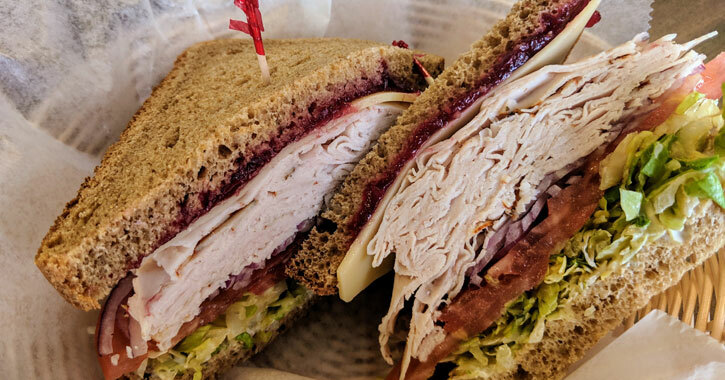 The specialty sandwiches include cleverly named and delicious options like the Lake George, pictured above, which comprises turkey, cranberry sauce, lettuce, tomato, onion, and Swiss cheese. 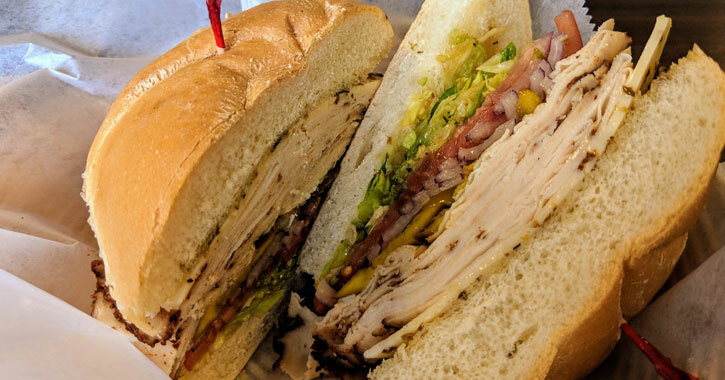 Another tempting option is the Jerk, shown below, which includes jerk chicken breast, lettuce, tomato, onion, hot peppers, Italian dressing, and pepper Jack cheese. Yum! “There are not a lot of places where someone can grab something to eat really quickly,” owner Jim Campione told us, when asked why he decided to open a deli; Campione already owns several other prominent businesses in the area, including the Big Moose Furniture Company, which has a location in the same plaza as Campione’s. “Most people around here went to Cumberland Farms across the street for lunch,” he added. Campione simply saw a need for a high quality deli and delivered. And, he went above and beyond – Campione’s serves much more than just delicious sandwiches and subs! 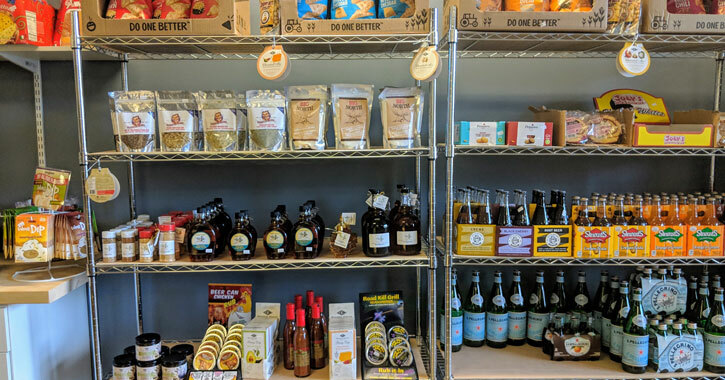 When you enter Campione’s, to the right of the deli area where you order food you’ll find shelves stocked with pantry item and treats, many of which are from the Big Moose brand, Campione’s house brand. 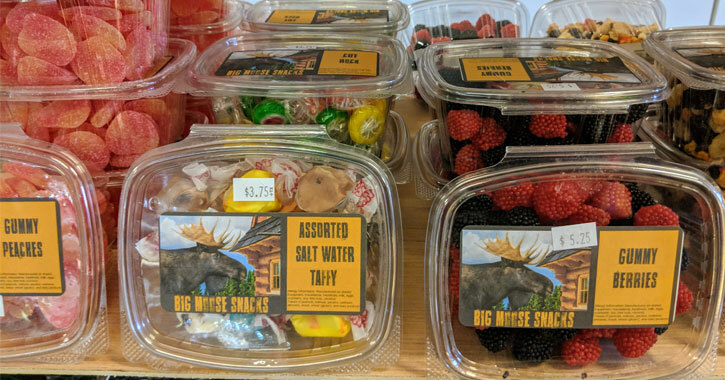 You’ll find sweets like the salt water taffy and gummy berries pictures above, along with Stewart’s brand soda, syrup, seasonings and rubs, gourmet vinegars and vinaigrettes, honey, and more. These are not your typical, run-of-the-mill pantry items, either. They’re all unique or special in some way. The honey goes beyond a clover or wildflower honey – there are varieties like bourbon barrel honey and cinnamon creamed honey. A simple treat like animal crackers becomes even more delicious when yogurt covered. As you walk by the shelves to order your lunch you can’t help but check out all the fun items on display. Maybe you’ll get some inspiration for dinner later! Campione’s is open Monday through Saturday, 7am to 6pm in Mount Royal Plaza, located off Route 9 in Queensbury. You can eat in or take out, and they’re looking into online ordering and delivery for the future.